Music for Lamps is an installation and performance work for 12 sound- and light-emitting lamps. Each lamp is discreetly outfitted with a surface transducer speaker, turning the lamps into both light and sound emitters. The lamps are arranged to both surround and permeate audience members, creating a 12-channel light and 14-channel sound performance. This work explores the continuum between the abstract qualities of sound and light, and the evocative qualities of domestic objects. Re-animated through digital technology, the lamps’ every “performance” is pulled apart and recombined in a novel manner. In this sense, Music for Lamps investigates the potential of domestic objects, both recalling their everyday functions and — through æsthetic transformation — transcending them. Lamps may behave as individuals, or as part of a larger ensemble, manifesting various behaviours in light and sound. Each lamp possesses its own resonant “voice” and sonic character in accordance to the size and material of which it is made. In their own voices — distinct both sonically and visually — the lamps, at times playful, emotive and dramatic, become as characters in the piece. [Adam Basanta] My main motivation was to explore the idea of composing with both sonic and non-sonic materials that work in combination with one another. The notion of using compositional or musical techniques and methods and applying them to non-sonic media appealed to me both as a challenge and promising method of working. Not being particularly enamoured with screen-based techniques, and with no background in image-making or video, I felt light was better suited as a media with which to explore musical and compositional ideas. [Max Stein] The pairing of light with sound is a very powerful visual cue. In Music for Lamps, I use light to highlight the rhythmic content of field recordings. I project these sounds into the performance space, allowing their trajectories to be tracked and followed across an array of speakers (lamps). [Julian Stein] My personal motivation comes from my interest in imposing musical structures onto visual media. Specifically, a major motivation for working with light is its ability to articulate rhythm — through variations in lighting intensity. I’m also interested in the relational experience of lighting both as a performed object (lamp) and within the space it illuminates. 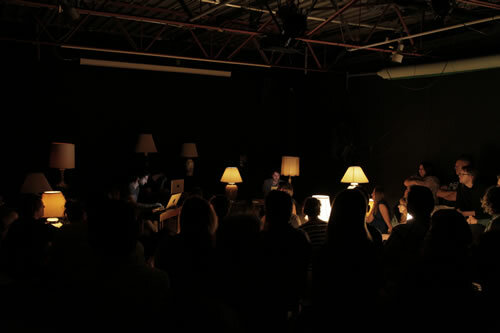 [MS] In Music for Lamps, we use sound and light to transform the space in which we are performing. The lamps cast light and create shadows while reacting and resonating to sounds that we send through them. In my other work, I most often create site-specific sound installations and performances. I am usually not directly in control of the lighting within these spaces, however, light (or lack there of) plays a major role in the selection of where I choose to create a work. [JS] An important aspect of the sound and light relationship is that the two are physically coupled within the lamp. With the use of surface transducer speakers, the sound resonates through the body of the lamp, coloured by its shape and material makeup. For our performances, the relationship between sound and light is highly varied. As a semi-improvising trio, we are able to articulate a complex variety of control over the lamps — developed through rehearsed familiarity with each other. 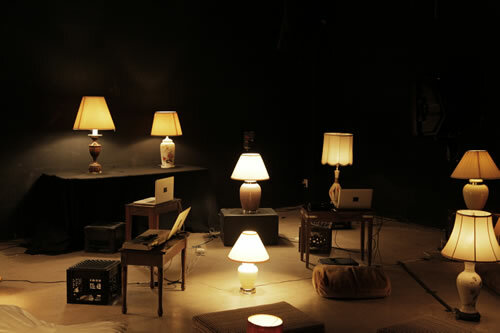 The lamps can be controlled as soloists, and at other times as ensembles. The sound and light from a lamp can be synchronized, delayed or unrelated. Sometimes only one performer is controlling the light, while other times the control is shared. [AB] At a very early stage of working in sound and light installations and performances, I became interested in extending the metaphor of orchestration to audiovisual composition. Thinking of light and sound as two “voices” allows the formal relationships between the two to go beyond the common (albeit very effective) light triggering in response to sound input. Beyond the formal relations between sound and light, the choice of object — for instance, a lamp as opposed to a naked light bulb as opposed to a fluorescent bulb — suggest different sonic associations and would affect the sound palette I would use. [JS] While a multidisciplinary artist, I feel my work is still rooted in the musical. In Music for Lamps, light is used to accentuate aspects of the musical, and also situate the audience within a familiar set or scene. As a semi-improvised work, I’m not sure that the piece features the precision that a light artist or designer may exhibit in their practice, but I think it works because the time-based structures and harmonic overlay of sound and light are more central to the core of the work. [AB] I have a lot of respect for light artists and lighting designers in theatre, dance, etc., and there is no doubt that I approach these materials from a different, maybe even “outsider” background and perspective; that in itself is of some value. More specifically, I think the notion of “orchestrating” light and sound in relation to one another is one way in which a musical perspective is particularly enriching. Similarly, the emphasis on time and temporal development of light in a presentation space can enrich light design practices. Adam Basanta, Julian Stein and Max Stein — Music for Lamps (2012–16), for 3 laptop performers, 12 lamps and 14.1 channel sound. Vimeo video “Music for Lamps — compilation” (4:14) posted by “Music for Lamps” on 17 February 2014. 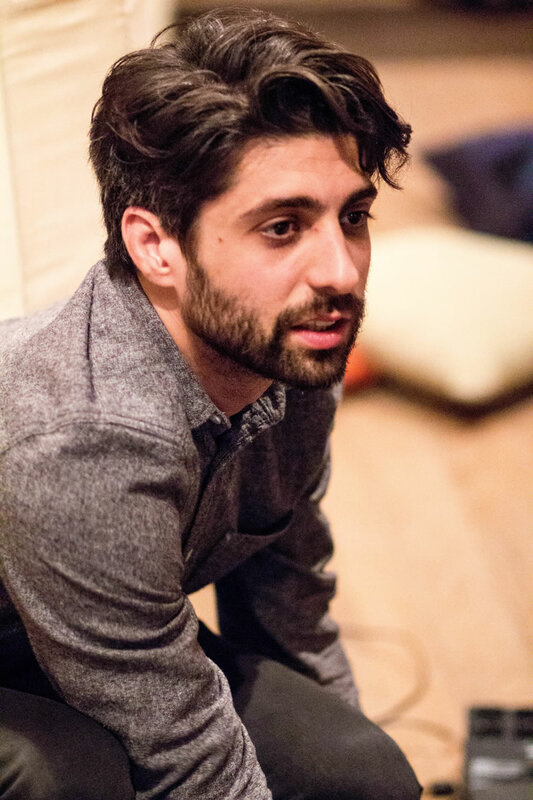 Born in Tel Aviv and raised in Vancouver, Adam Basanta is a sound artist, composer and performer of experimental music working in Montréal. Across disciplines and media, he interrogates intersections between conceptual and sensorial dimensions of listening, the materiality of technological apparatus, and the intertwining of human behaviour and mass-produced consumer devices. In recent years, his installation work has been presented at Carroll/Fletcher Gallery (UK), National Art Centre Tokyo, American Medium Gallery (New York), New Media Gallery (Canada) and the Moscow Biennale for Young Art. His music has been presented worldwide, at the Mutek (Montréal/Spain), Gaudeamus (Holland) and MATA (New York) festivals, among others. Max Stein is a media artist based in Montréal. His work explores urban spaces through site-specific performances, installations and online mapping. 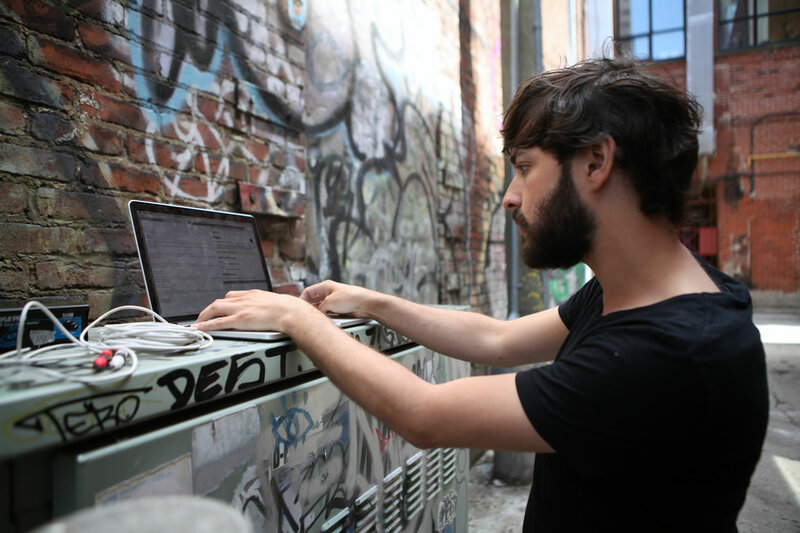 Stein designed and runs the Montréal Sound Map (2008–present) and has collaborated on other sound mapping projects, including TSIKAYA, San Francisco Bay Area Sound Map, Oljud Sthlm, Portland Sound Map, Belfast Sound Map and the Soundprint Archive. 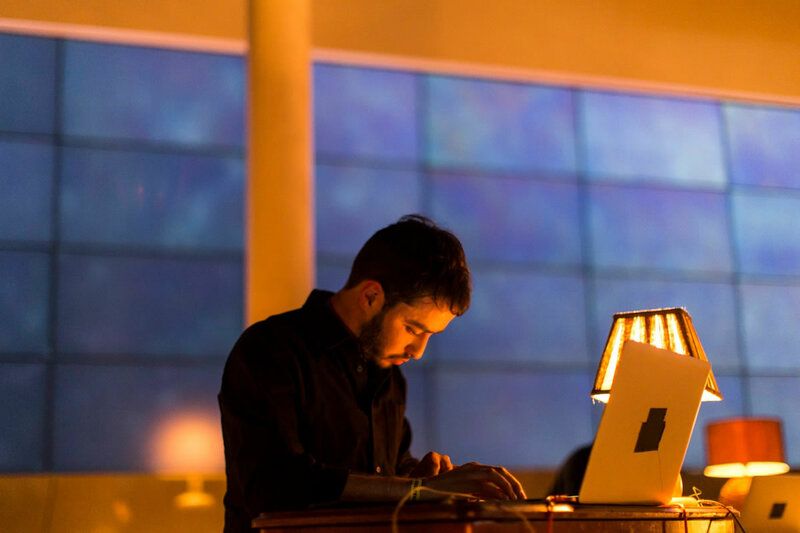 As a frequent collaborator with sound artist and musician, Jen Reimer, he has created in situ performances and installations in resonant spaces around the world. Most recently, they launched an online exhibition of urban environments called Sounding the City.